We trailed possibly every CRM on the planet until my business partner said enough is enough, Teamgate was our final choice as its simple, clean and very easy to track sales and progress of client deals Pros: Clean, simple, very easy to use and looks great, also fantastic customer support from the guys at Teamgate. We found that other CRM’s contained far to much functionality that a normal sme would not need or ever use. Teamgate has everything you need at a fair price to do your job and the integrations with Nexmo SMS gateway are fantastic The only one little bit of constructive criticism and this is purely for us. It would be great if you could customise the dashboard with graphs and figures for your own customised fields as this would be fantastic. apart from that cant find any fault. The CRM market is flooded with hundreds of CRM businesses that claim to do this or that but the majority of them have weird and wonderful features that you just wont use and will still be paying for. If you want a good stable clean sales stack to manage your pipeline and deals Teamgate is for you. The best thing to do is get the free trial, have a play around with the system and adapt it to your business and go for it. Shopping around in this market could go on for ever, when you could making sales. The only one little bit of constructive criticism and this is purely for us. It would be great if you could customise the dashboard with graphs and figures for your own customised fields as this would be fantastic. apart from that cant find any fault. The CRM market is flooded with hundreds of CRM businesses that claim to do this or that but the majority of them have weird and wonderful features that you just wont use and will still be paying for. If you want a good stable clean sales stack to manage your pipeline and deals Teamgate is for you. The best thing to do is get the free trial, have a play around with the system and adapt it to your business and go for it. Shopping around in this market could go on for ever, when you could making sales. Very intuitive, design & User – friendly, innovative & not too difficult or hard. Had many features and integrations which. One of the best part is open Api. Just try it You will be convinced. Even the support is very quick and friendly. Very intuitive, design & User – friendly, innovative & not too difficult or hard. Had many features and integrations which. One of the best part is open Api. Just try it You will be convinced. Even the support is very quick and friendly. Teamgate is really great and simple CRM. It literally keeps everything on one page, and is surprisingly fast to use. Now we are keeping all information in one place! Pros: Of course the ease of use. Cons: So far no cons discovered. Just try and you will see results in one week. Teamgate is really great and simple CRM. It literally keeps everything on one page, and is surprisingly fast to use. Now we are keeping all information in one place! Pros: Of course the ease of use. Cons: So far no cons discovered. Just try and you will see results in one week. Never able to print reports. It started good but I needed to share with my team the filtered queries. I tried several times and asked for help. There were some answers but my query was never resolved. personal and very professional customer service App for smartphone not available (yet) Easy to use, very intuitive. I really appreciate the personal and very professional customer service – Teamgate reponses very quickly to my needs. I recommend Teamgate for small businesses and start ups – it’s essential to have a professional CRM right from the start in order to structure your sales and partner communication. I really appreciate the personal and very professional customer service – Teamgate reponses very quickly to my needs. I recommend Teamgate for small businesses and start ups – it’s essential to have a professional CRM right from the start in order to structure your sales and partner communication. Teamgate was founded back in 2012 in Lithuania’s capital city, Vilnius. Designed with the goal of simplifying and strengthening the entire sales process in mind, Teamgate has grown into a full process sales CRM solution. The company has since moved to a new headquarters located in London, UK where Teamgate continues to provide and evolve their platform. With affordable pricing, generous user limits, and extensive list of integrations Teamgate offers a compelling package for any size organization. Teamgate’s platform is a strong choice for SMB teams in particular. The solution is also available in multiple locations including the US, Brazil, Canada, Germany, Mexico, The Middle East, Africa, and the United Kingdom. Teamgate offers a complete and comprehensive sales CRM solution at an affordable price. 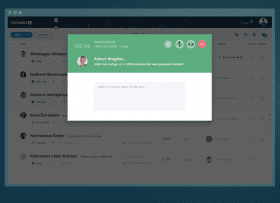 Starting at just $9 per user, teams gain access to both live chat and email support, daily data backups, basic contact management, and even free onboarding. While the starter plan is limited to five users only, Teamgate does not place any further user limitations on their plans. For teams larger than just five users, the Professional tier starts at just $22 a month and includes even greater functionality like geolocation, multi-currency support, and Core API access, as well as multiple integrations. The platform was specifically designed to enable organizes to manage their sales process from every single step, and each plan comes with the necessary features and functionality to do so. Both web-based and cloud delivered, Teamgate offers not only an impressive list of features, but integrations as well including Twilio, Zendesk, WordPress, LinkedIn, MailChimp and Google applications, just to name a few. Beyond included integrations, users also gain access to a Zapier integration, enabling teams to connect to even more applications. Teamgate views a CRM as being more than just a database, or just a means of contact management. Rather, Teamgate considers a CRM solution a “fountain of knowledge,” enabling organizations to take total and complete control over their entire sales process by segmenting B2B and B2C transactions; managing leads and sales pipelines; applying advanced analytics to reports and forecasts; and organizing all meetings, calls, tasks, accomplishments, team targets and goals. With features like custom fields, filtering and collaboration tools, Teamgate can help organizations streamline and improve the total sales process. And beyond CRM and sales management functionality, Teamgate also includes collaboration and organization features to help your team manage targets and stay on track. Overall, Teamgate is the complete package, a premier sales CRM that empowers teams to take total control over their entire sales process and contact management. What Do You Think of Teamgate?